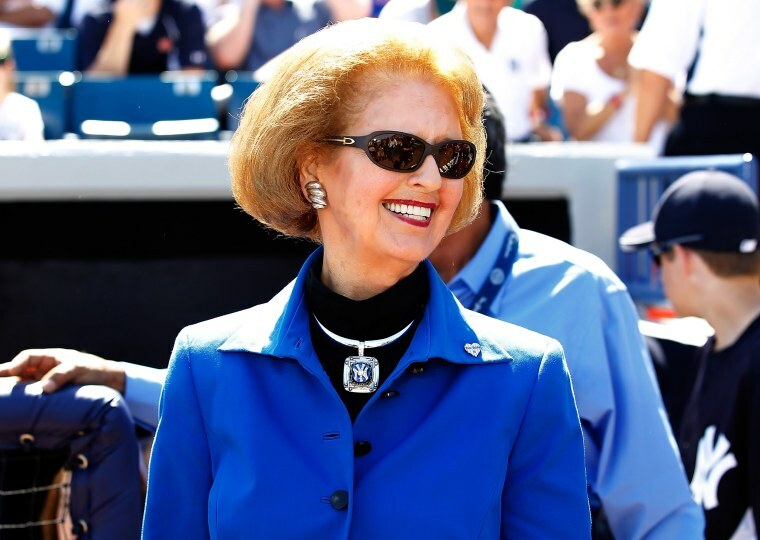 Joan Steinbrenner held the title of Yankees vice chair. NEW YORK — Joan Steinbrenner, the wife of late New York Yankees owner George Steinbrenner, died Friday. She was 83. The Yankees said she died surrounded by family at her home in Tampa, Florida. Born Elizabeth Joan Zieg was born in Mt. Vernon, Ohio and she received a degree in dental hygiene from Ohio State. In 1956, she married George Steinbrenner, who died in 2010. She is survived by sons Hank and Hal; daughters Jessica Steinbrenner and Jennifer Steinbrenner-Swindal; 14 grandchildren; and three great grandchildren. Hal has been the team's controlling owner since November 2008. The Yankees said a private family service will be held.